It’s taking me a while to find my feet in terms of what span of documents are useful to this context, and in working out what stretches the focus of the project too thinly. It’s an ongoing learning process! From time to time, something that another Kitchener descendant says or writes, however, highlights that I’m not the only one still trying to work out what’s useful and what adds to the project. 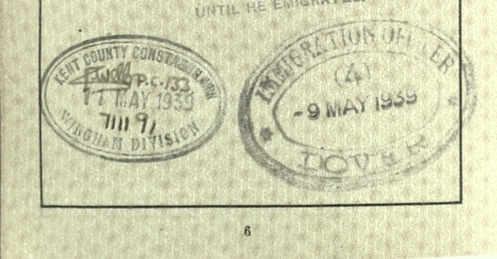 But on the German passports you have all kinds of useful information about individuals – not least they give the date on which that man applied to leave Germany, the date of consular stamps, when he arrived in the UK (a key piece of information being collected), and the length of time it took to process him through the UK. 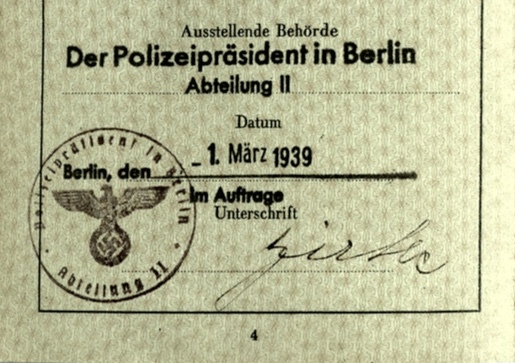 So – all German passports are useful – and if a relative doesn’t want an image of it on their pages, for whatever reason, we would still be glad to receive these kinds of pieces of information from them. It’s also worth knowing that when I get a date of arrival, these are being added into Phineas May’s diaries, which is fascinating to see in context, for all kinds of reasons. 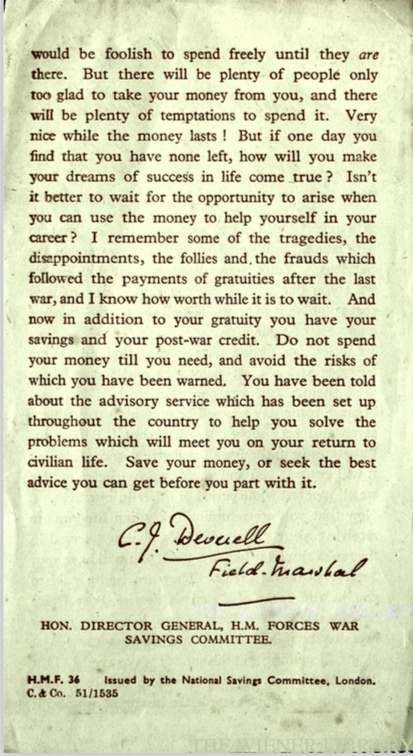 There are some leaflets and documents that will have been common property among many of the men, and one of our Kitchener families has recently provided a large number of these, including the following advice from the War Savings Committee, which is a lovely little piece of historical ephemera, from the language, to the colour, to the print font. 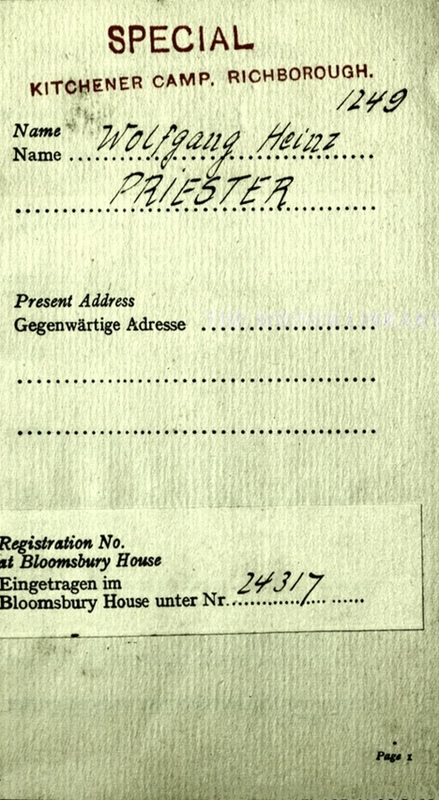 Wolfgang Priester also kept his pamphlet on Guidance to Refugees, which those who have read Clare Ungerson’s book on Kitchener camp might recall her mentioning. It advises, “Try to observe and follow the manners and customs and habits of this country, in social and business relations”. "In the interest of the whole Jewish community, please obey these rules in the spirit as well as in the letter." There are two numbers here – Wolfgang’s Registration Number with Bloomsbury House (24,317), and another number – 1249. 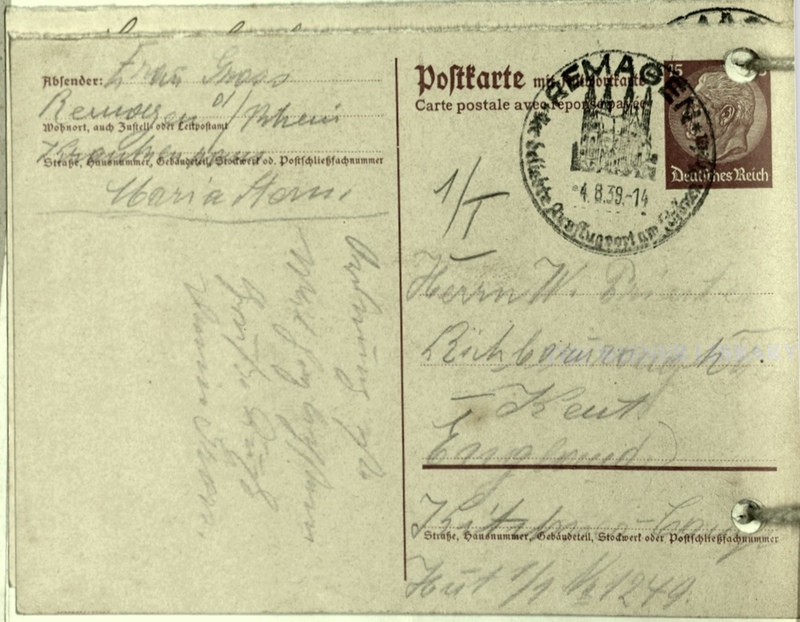 And at the bottom of the address, here and on other post he receives, is again this number – 1249. This is Wolfgang’s refugee number! Putting together some of these pieces of information, we now know that on 9th May (from his passport), Refugee number 1,249 arrived. Which means that four months in, around a third of our assumed number of refugees had arrived in the camp. 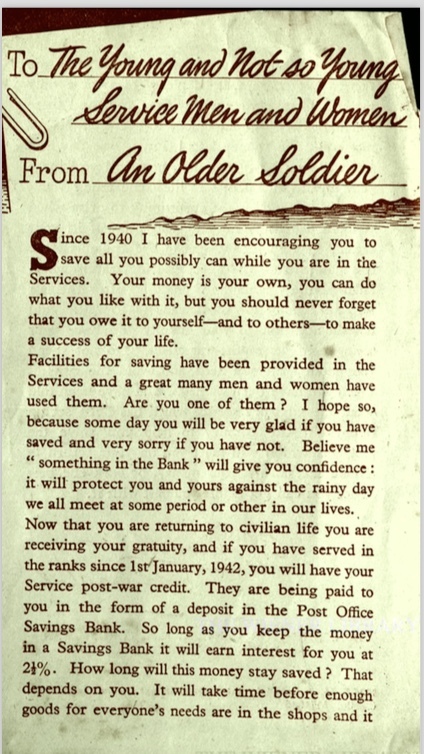 In light of this, if anyone has ‘bits’ of information that you have assumed would be irrelevant / unimportant /meaningless – or that you think will be unimportant because we have ‘other copies’, please do reconsider and check your documents and letters again. I’d much rather be sent something ‘irrelevant’ than miss out on something potentially historically significant. We’re accumulating an amazing array of information – and the more we can bring together, the better – including apparently random and ‘uninteresting’ numbers and dates!